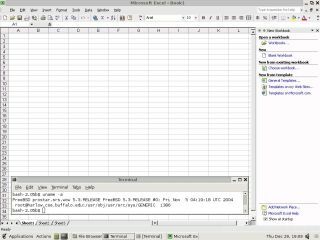 The most serious of these bulletins pertains to Excel, which alone has six specific 'Common Vulnerabilities and Exposures' noted. One of those has already been exploited in the wild and according to Microsoft, more computers will be affected if protective measures are not taken immediately. Microsoft also admitted to a vulnerability it has known about since September 2006 concerning how Office interfaces with the internet. Microsoft has released security patches to fix the 12 flaws found in the bulletins and all are available via Microsoft Update today. The company warned that computers that are not patched run the risk of allowing "an attacker who [has] successfully exploited a vulnerability to take complete control of an affected system". Download the patch and all other Office updates here.